In the current era of motorsport, carving out a lengthy, sustainable career as a driver, has arguably never been tougher. 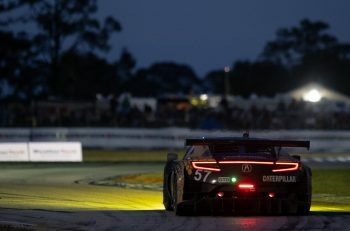 Driver gradings, soaring costs of entry, the constant battle to attract sponsors and the ebb and flow of factory commitment has meant that landing a drive with long-term prospects is rare. 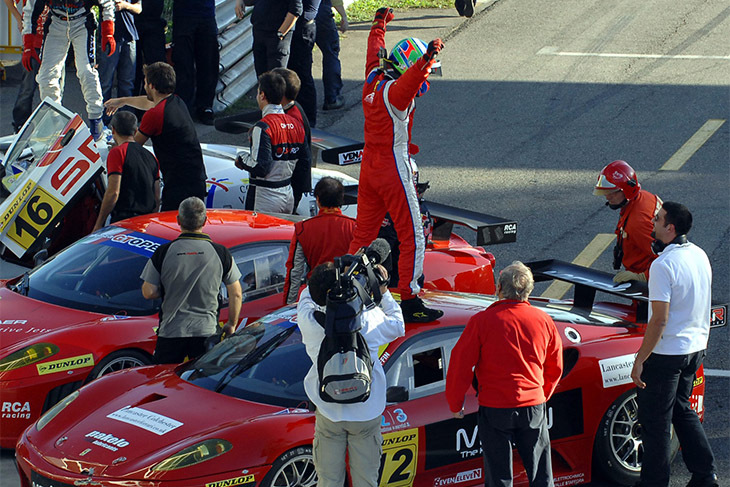 35-year-old Matt Griffin though has defied all the odds, and managed to race with AF Corse for over a decade. Since 2008, he’s driven for countless customer teams, competed in more than 300 races, aided the development of multiple highly-successful GT cars, won his fair share of trophies and earned the respect of his peers up and down the paddock along the way. How has he managed it? How did it all start? Is it all luck or more about hard work? And how much longer will it last? To find out the answer to those questions, and a whole lot more, DSC sat down with Griffin, at length, to learn the secret to his success, and give him the chance to tell some of the more memorable stories from his run with the Italian team so far. 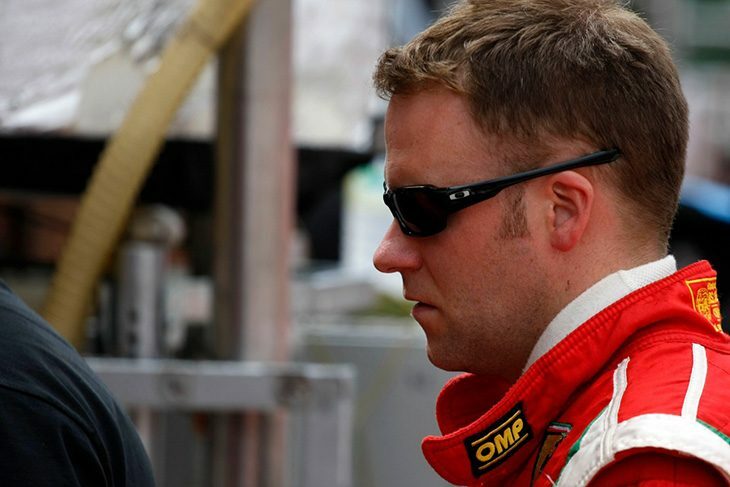 Griffin’s AF Corse career began when he was working as a driver coach for Ferrari GB and was introduced to gentlemen driver Peter Bamford, who many DSC readers will be familiar with for his time spent racing in the British GT Championship, International GT Open and on an occasion, the Le Mans Series. The two of them were quickly partnered up and entered in the International GT Open back in 2008. That year they were competing as part of a very healthy field which includes the likes of Richard Lietz, Marcel Fassler, Mike Conway and Marco Cioci, in a Ferrari 430 GT2 for AF Corse, which back then ran under the Advanced Engineering banner. During that first season, Griffin had what he feels is one of his most impressive performances to date, and certainly his most memorable in the 430 GT2, a car which he looks back on fondly. That came at Monza, the ‘Temple of Speed’. “I started out with the 430, I never drove the 360,” he recounted. “I love the 430 because it was the first GT2 car I drove. It’s strange because I came in, I was young, and I was full of piss and vinegar. All I wanted to do back then was show everyone how fast I was. “Now I look back on it, that was second or third on the list of what’s needed. I remember going to Valencia for a test, and the car was brilliant. It was not like the cars now, it was a lot more simple. It had a sequential gearbox, you had to heel-toe on the downshifts and there were no paddles. The aero too was less important in GT racing back then, meaning the setup window was a lot wider. I came in, I was young, and I was full of piss and vinegar. All I wanted to do back then was show everyone how fast I was. The aforementioned memorable drive at Monza saw him drive through the field from the back of the pack to score the duo its first win together. It proved to be a significant milestone in his career. “They had a rule where when the safety car came out, you couldn’t pit,” he explained. So Peter was driving it, we were in 17th, but Monza is a great track for me. The safety car came out, and he’s 17th, but realistically, only 10 seconds from first. So, we pitted immediately, after the safety car went in, we did the driver change and I really went at it. My engineer was on the radio telling me things, but I was just pushing hard. “At one point he said to me “Matt in front of you is the leader” and he said “It’s ok if you want to pass him” and what he meant was that we weren’t a lap down. So I just went for it, and won the race by getting past on the last lap. 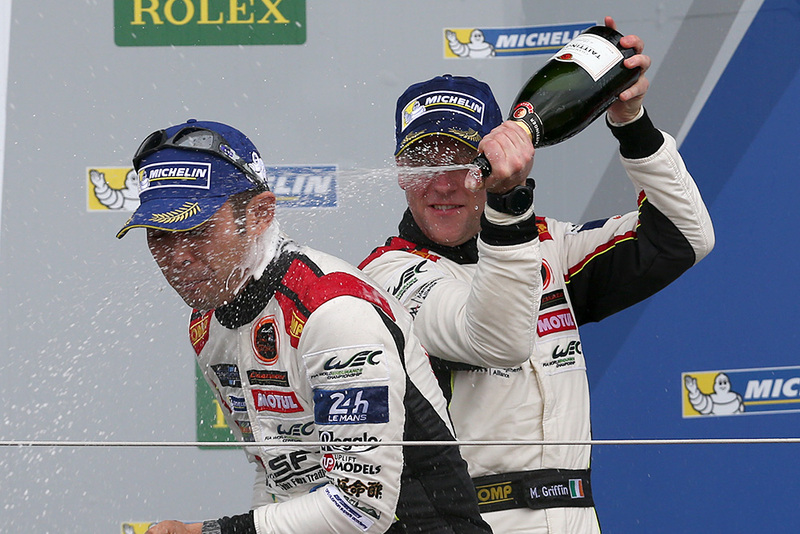 “I couldn’t believe it, I had come from 17th in a stint, to win a GT Open race, in a competitive field. I came into the pits, jumped on the roof of the car, and that was the moment that was the peak for me and the car! Then came the Ferrari 458, unveiled in 2011, which in GTE and GT3 form sold extremely well, and was highly successful too, winning countless races and a number of titles. While the 430 was the car that got Griffin noticed, but the 458 allowed him to take the next step, in not only building his relationship with Amato Ferrari’s organisation, but with Ferrari itself. It’s safe to say that Griffin’s DNA is in the car too, as he was heavily involved in its development. “The 458 for me, was a step forward, but it wasn’t as large as you’d think. 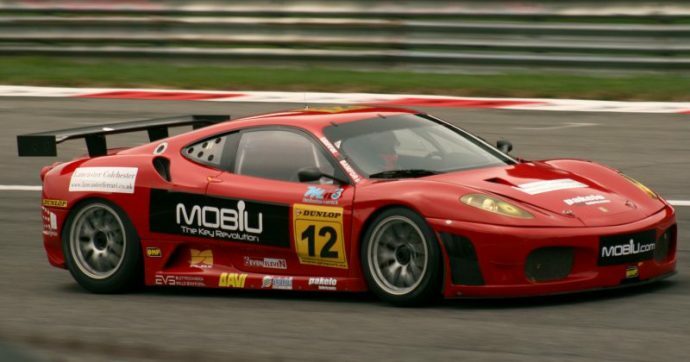 The first time I drove it was for Michelotto, I was heavily involved in the development of the GT3 car. I remember the first time I went to Fiorano to test the car for the first time. “It means picking a rental car when I go now can be a stressful experience! Griffin admits that at the time, the head of development wasn’t enthused with having him as part of the team. He had to earn his stripes, and he did that quickly. The more he tested, the more he became part of the process and got to the point where no other drivers needed to come along with him. And that, he knows, is as much of a compliment as you can receive from a manufacturer like Ferrari. 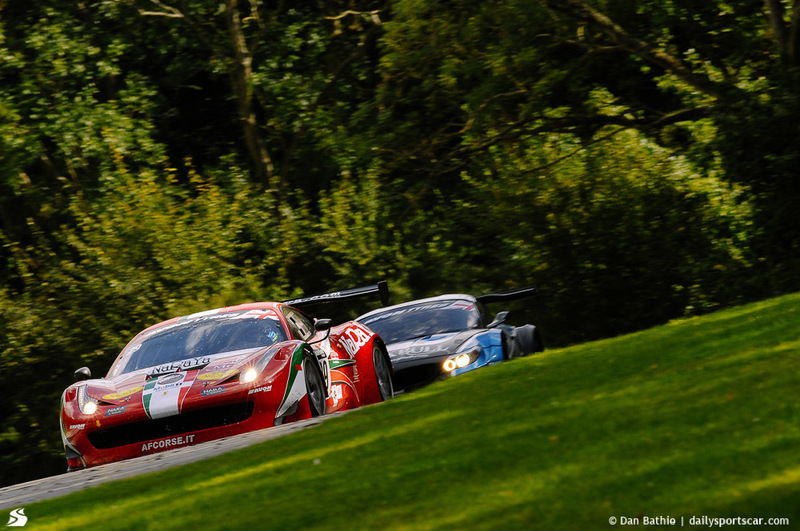 “I look back at the 458 GT3, and I know that I was heavily involved in that car. I know that it’s by far the most successful GT3 car ever made,” he said. “And what I mean by that, is how many they sold. They eclipsed every other GT3 car, by I reckon six times. Maybe the Audi was second, but I reckon they sold four times more cars. “It was a brilliant car. I finished second at the Spa 24 in it, I won the Blancpain Endurance Championship with it, finished third at Le Mans in the GTE car, won the ELMS, I won a lot of races, more than 30 with it, both in GT3 and GTE spec. If someone said to me, that I had to pick one car to cuddle up in bed with, it would be the 458. So where does that leave the 488, a car still very much in its prime, in his mind’s eye? Griffin wasn’t as involved in its development, because he was so busy racing, but he’s had plenty of successes behind the wheel of it already in both GTE and GT3 spec. 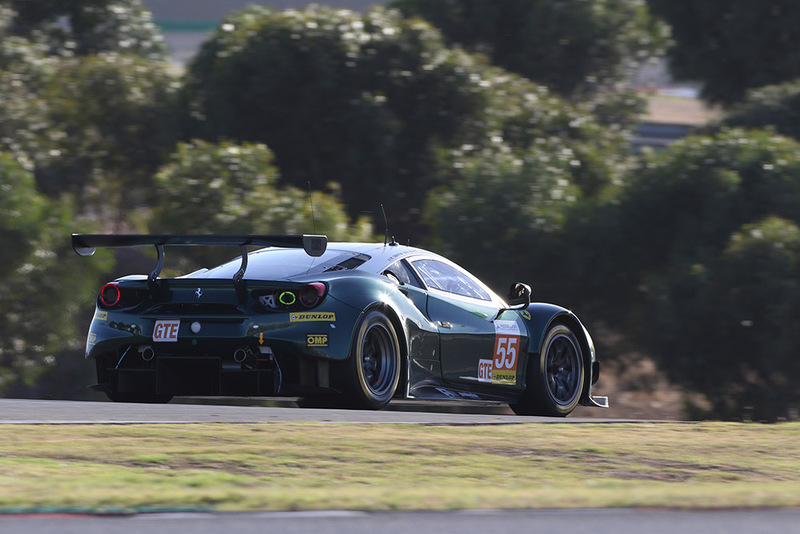 “The first time I drove a 488 was at Paul Ricard, it was a Michelotto T Car. We did an endurance test, some of it was wet, and it just felt like another level. 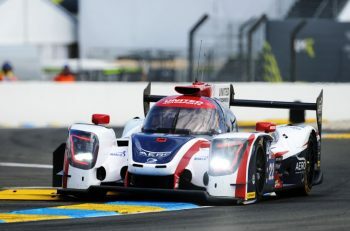 “The power delivery in the new car is very different, the aero is much more like a formula car or prototype. We are pulling 3.2, 3.3 G through the corners, which is bigger than an LMP3 car. The 488 is completely different, it has a different ethos because of the turbo. Its the first turbo car I’ve ever driven, and the way you drive it, is very very different. “In terms of performance, there’s rarely a big step because of BoP. But everything moves on, all BoP does is slow down just how quickly it does. BoP dictates how cars are built now. Should you put the carbon ceramic bearings in the car that are 20,000, or aluminium ones that are 2,500? Obviously, the car with ceramics will be much better, but if you do, you’ll be 5km quicker down the straight and they’ll turn down the boost pressure. “But from a point of driving, the 430 to the 458 was a natural progression. The 488 is completely different, it has a different ethos because of the turbo. It was the first turbo car I’d ever driven and the way you drive it is very very different. Last year there were two memories to hark back on, the first being his run to victory at Silverstone with Clearwater Racing (on its WEC debut), and ELMS Qualifying at Portimao with the Spirit of Race crew. “Last year was a roller coaster for me, with some real lows, but the highest of hights. “In the 488, the WEC win at Silverstone was great, because we’d banked on a predicted strategy that left us tight on fuel, I had to splash, but I was the quickest guy. And at the end coming down the Hanger Straight Pedro (Lamy) and Miguel (Molina) came together and I tried to undercut them, I went through the middle, and won the race. “That was special because Clearwater is such an awesome team. It was a great occasion. We all remember it vividly, it was my ‘Days of Thunder’ moment! “But ELMS at Portimao, that was special too, with Duncan (Cameron) and Aaron (Scott) we were in the running for the title, and I was desperate to get Pole to put us in the best possible position for the final race. “But we didn’t think we could do it, Aaron said if I get Pole he’ll give me £1,000. 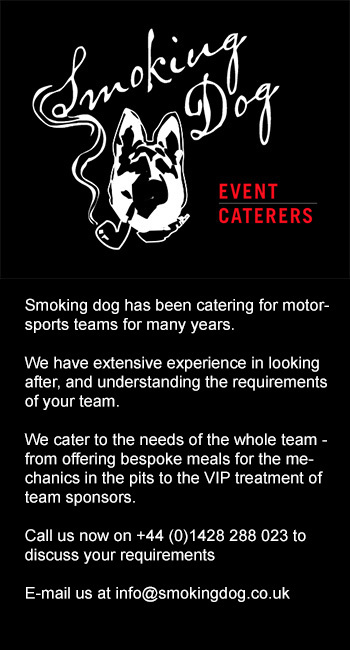 And if I set two laps good enough for pole, that he’d give me £2,000. So I obviously went out and ragged the car. “I pushed really hard but had to come in for new tyres during the session. My engineer told me that Nicki Thiim was on provisional pole, he told me the time, I said I thought it was possible to beat it, and he said: “I know you can do it”. “So I went out, and put together the most perfect lap of that circuit, I knew it was good because of the delta on the dash too. I went crazy on the radio saying “This is a good one!! This is a good one!! !” And I got it by seven tenths. Then, on the next lap, I set another fast time. “It was a magical session really.